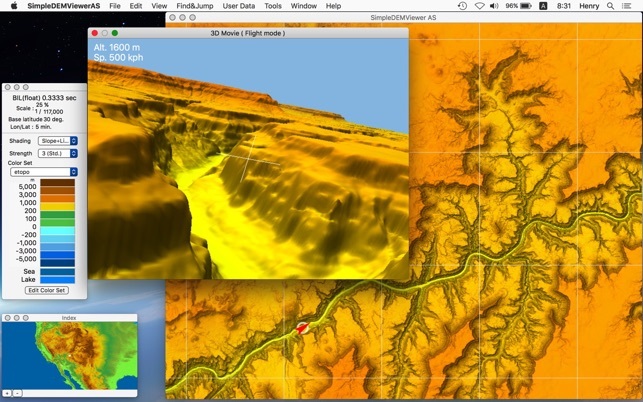 SimpleDEMViewerAS browses DEM ( Digital Elevation Model ) data as a relief map using various colors and shading. 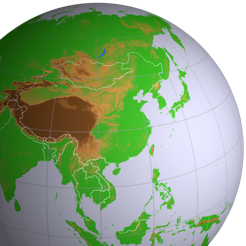 This program makes bird's eye views, stereographs, panorama views, grayscale maps, Mercator maps and other projection maps. 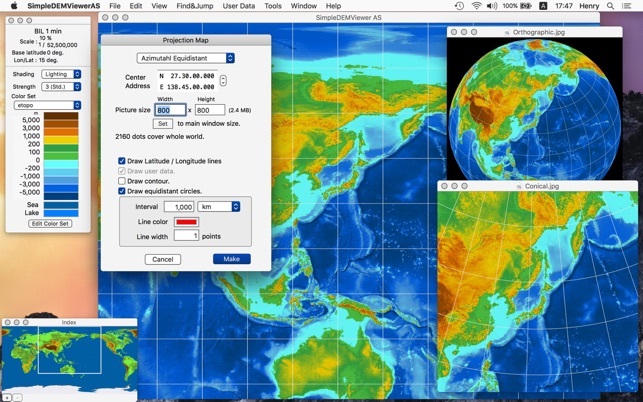 You can study geographic features with using above various aspect of views. 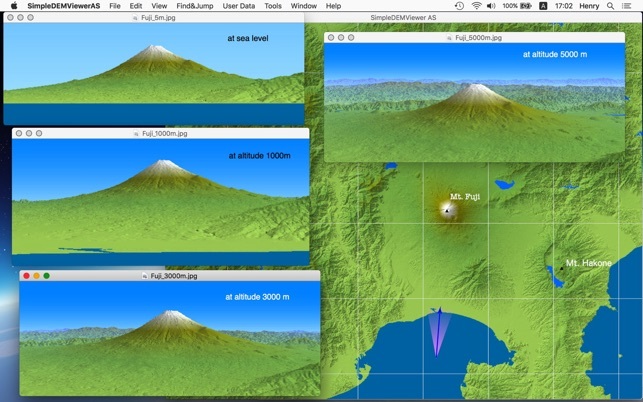 3D movie function provides you to flight or cruise in realistic landscape. 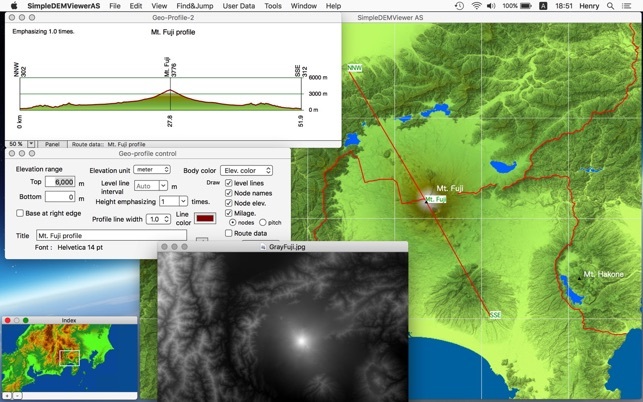 You can write memos and routes on the relief map to make youe original maps. 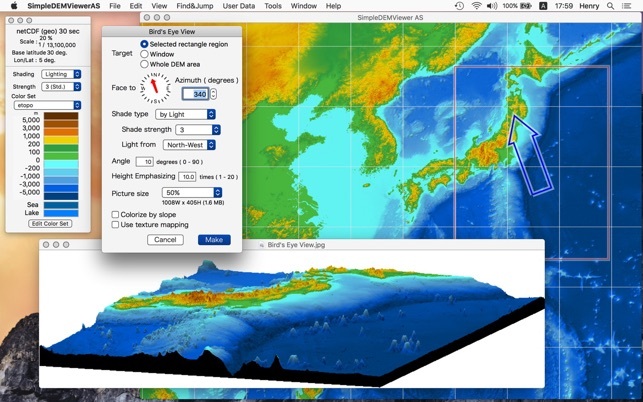 You should prepare DEM data and other map data separately, since no data is included in this program. To get some data, refer to the manual or online help. String search functions ignore case and diacritic marks, in Find function and some other dialogs. Could not draw User Area Data correctly under certain situation.